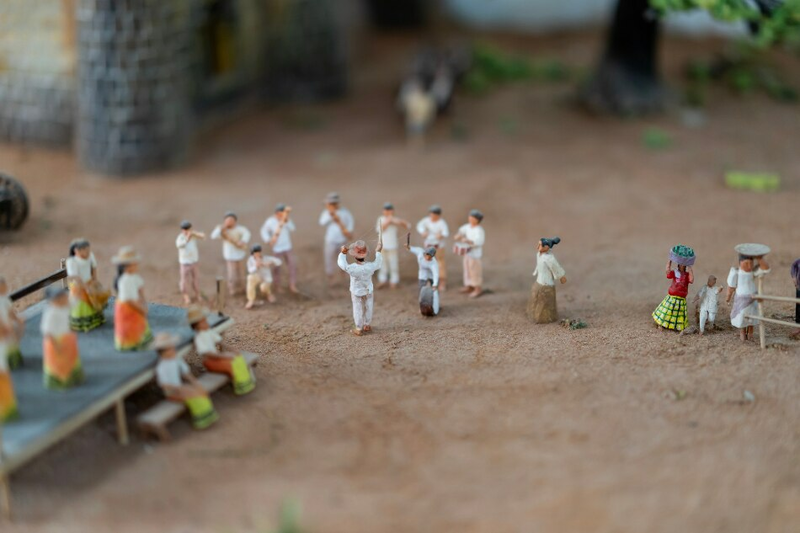 The Miag-ao Church, also known as Tomas de Villanueva Parish Church, is the focal point for a diorama depicting a strange truce between the American occupying forces and the Ilonggo Katipuneros. Jonathan R. Matias is on a mission to inspire a deeper understanding of histories, Miag-ao’s in particular. Into 60-plus years of an adventurous journey - that included migrating to New York “as a political refugee” in 1973, enlisting in the US Army, founding his own New York-based research company, Poseidon Sciences, as well as his restaurant Sulu Garden in Miag-ao - the Imus-born Jonathan isn't quite done chasing his dreams. “I am sure the drama of my life is still unfinished,” he said smiling while showing us around the small gallery adjacent to his resto nestled in one of Iloilo’s best performing municipalities. Jonathan R. Matias beneath the Britanico Bridge, once called Sapa Bridge after the site of the first Malay settlement. Named after Jonathan’s favorite Star Trek character, Dr. Sulu (and not the sea as many assume), Sulu Garden evolved from being just an eatery (from 1997 to 1999) to its present reincarnation as a center for cuisine, arts, science and conservation. Located 46.8 kilometers from Iloilo City, one of Southwest Travel and Tours’ comfortable vans transported us to this popular destination. It has become a favorite stop among foreign and local tourists, due in part to its fantastical Japanese-inspired setting as well as its proximity to Miag-ao’s famed baroque landmark, the Santo Tomas de Villanueva Parish Church, a UNESCO World Heritage site. Nearer still is a handsome and storied structure, the Britanico Bridge standing in the fringes of Sulu Garden. The bicycle - an old one painted gold - is a nod to a local legend about a certain Princess Ulay-ra who traversed the creek in a golden boat. “I think the princess is now a modern woman who would appreciate a bike instead,” Jonathan explained. 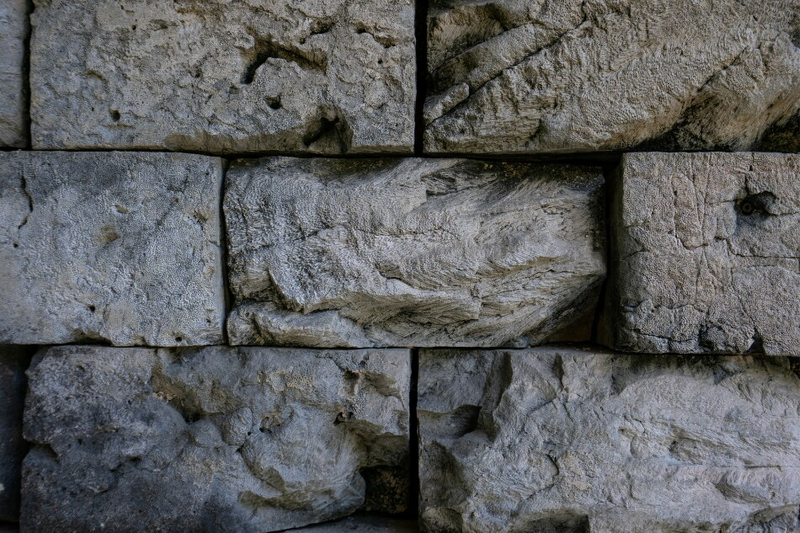 The bridge’s coral stone bricks were cut from the stone quarries up in the hills of San Joaquin. During the summer months, Jonathan hosts art exhibitions, mini concerts and poetry reading beneath the bridge. While originally ascribed to the American Colonial-era builders, Jonathan believes, based on his research, that Britanico bridge’s design and engineering lean closer to the style of the bridges from the Spanish Colonial-era. 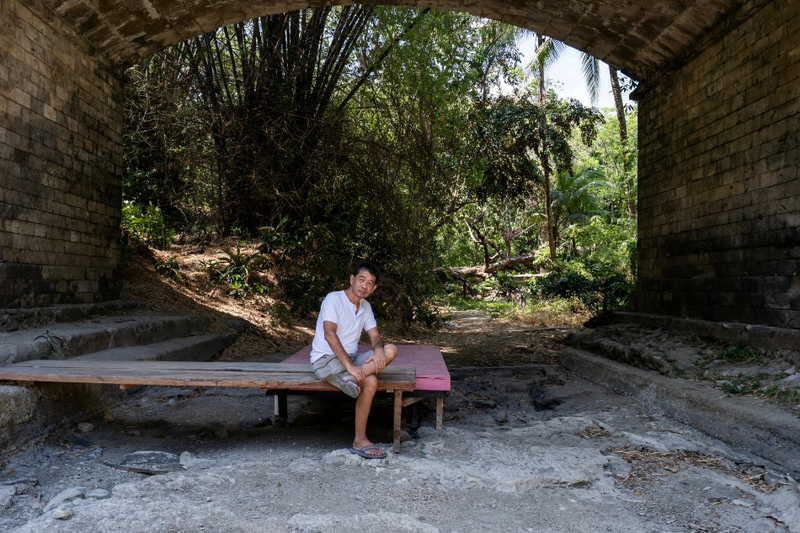 Since the clean up, Jonathan has assumed the role of the bridge’s caretaker, restoring not just the structure formerly called Sapa bridge but the space around it as well. 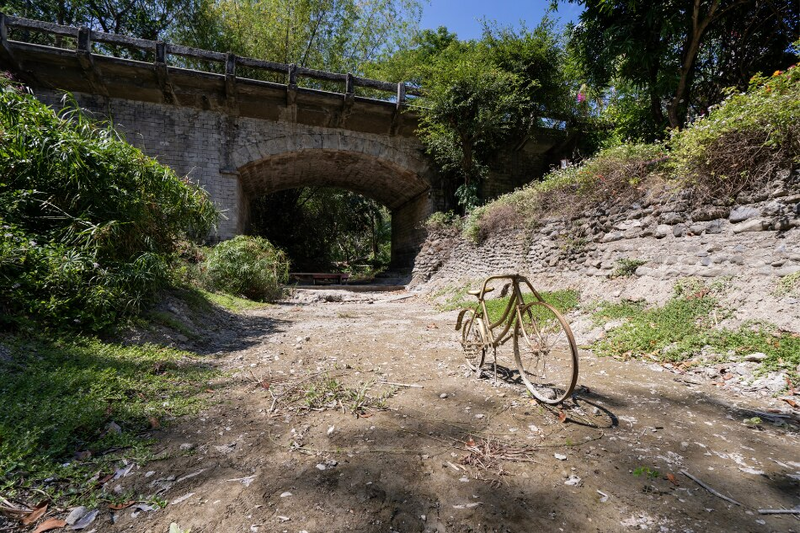 Activities, such as poetry reading, painting exhibitions and concerts that take place right under the bridge, underpin Jonathan’s efforts to draw focus to the structure’s import as the last of eight stone bridges connecting Miag-ao to the town of San Joaquin. “The rest are gone due to collapse from earthquakes, floods and modernization,” Jonathan said. 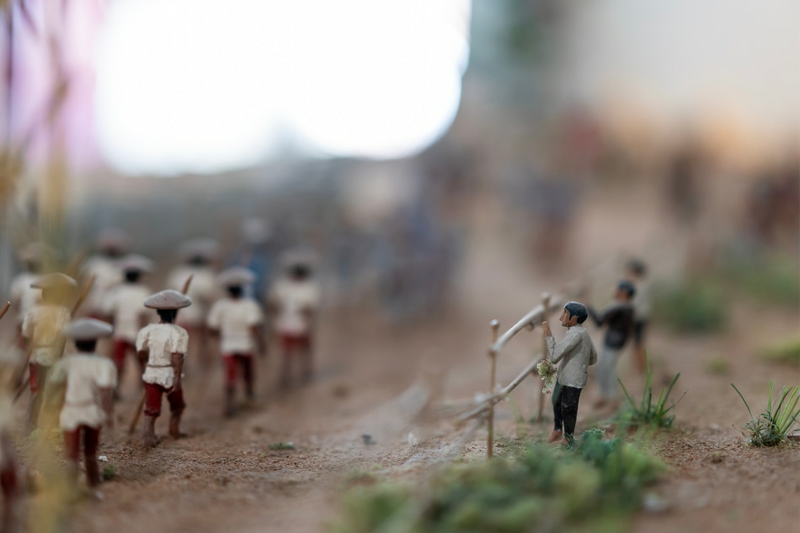 Katipuneros marching to the truce site armed with bolos and lances. 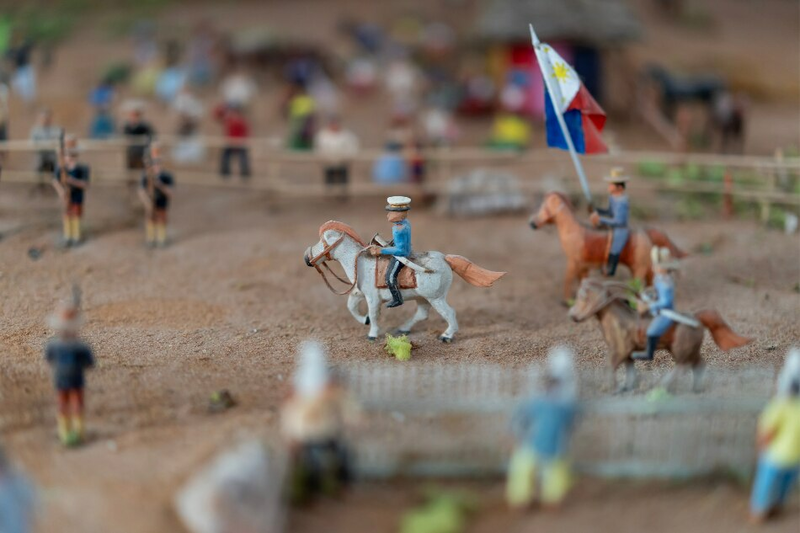 He is equally devoted to another ongoing project, the two epic dioramas installed in Sulu Garden’s gallery. For Jonathan, the tableaus are alternative ways of presenting Miag-ao’s past to a generation not inclined to poring over historical text. 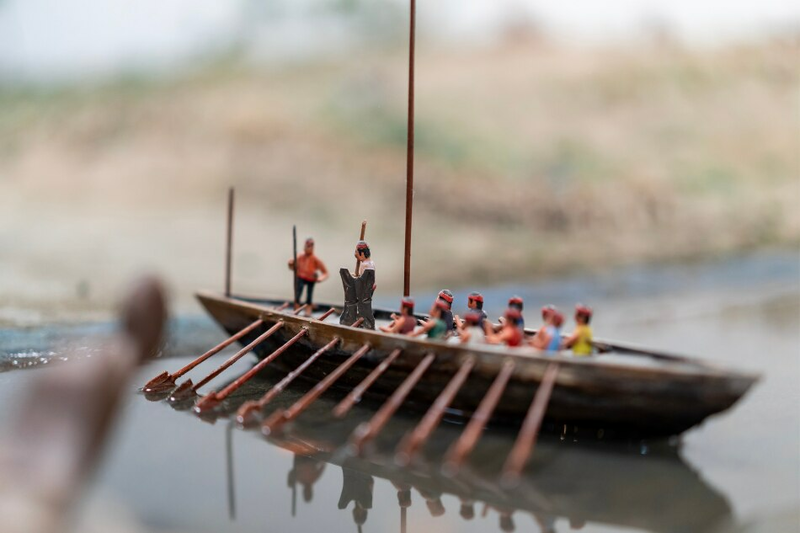 “Besides the eccentric, seemingly arrogant reason that ‘it is my pleasure,’ I think dioramas make it easier for people to understand and appreciate local history,” Jonathan added. 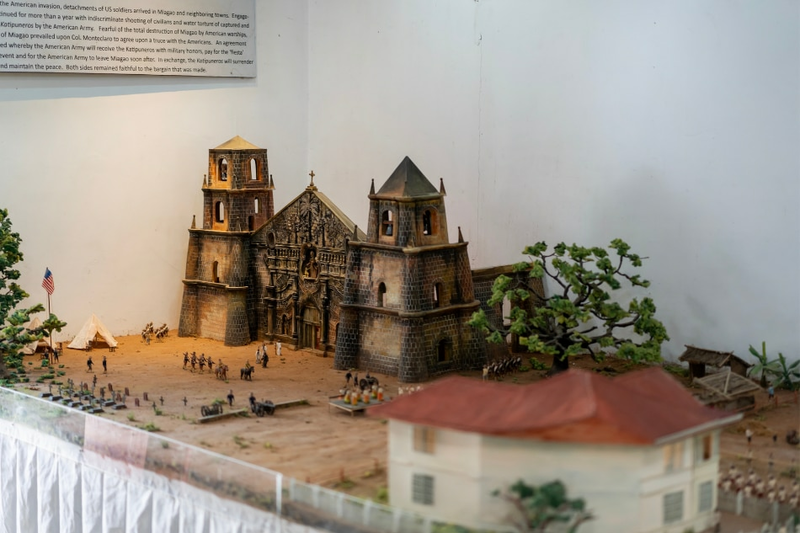 The Miag-ao Church, also known as Tomas de Villanueva Parish Church, is the focal point for a diorama depicting a strange truce between the American occupying forces and the Ilonggo Katipuneros headed by local hero Col. Pedro Monteclaro. Made from vinyl tiles, it took 6 months to reconstruct the structure. 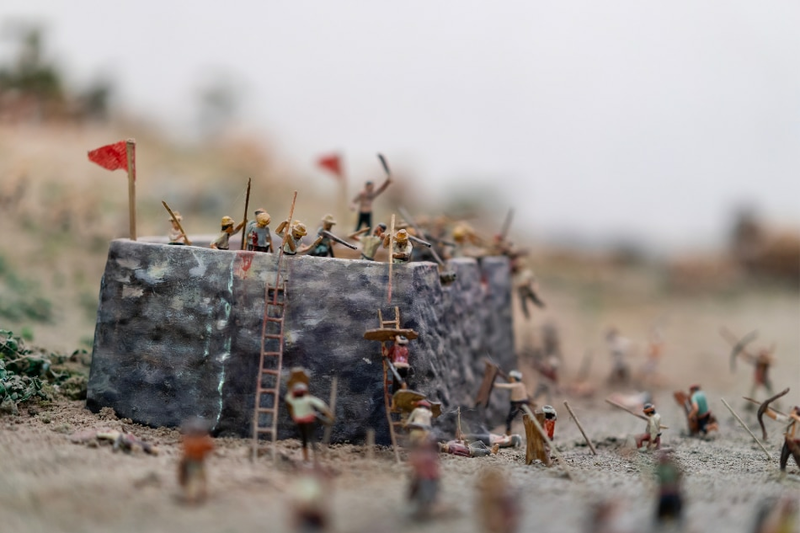 Two pivotal incidents are depicted in the dioramas - the strange truce between the Americans and the Revolutionaries led by local hero Col. Pedro Monteclaro on April 28, 1900, and the fierce battle between the Moro raiders and Miag-ao’s fighters in May 7, 1754, the latter commemorated annually through the Salakayan Festival. 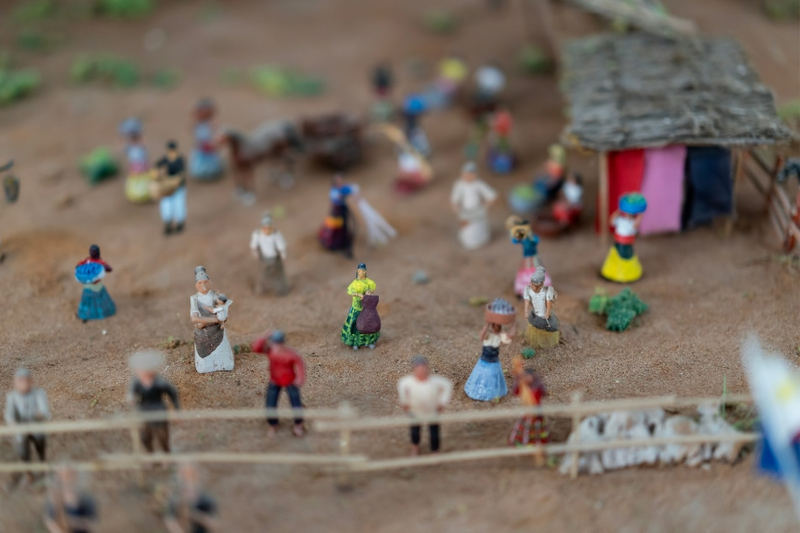 “The work is painstaking,” says Jonathan about the making of the dioramas. 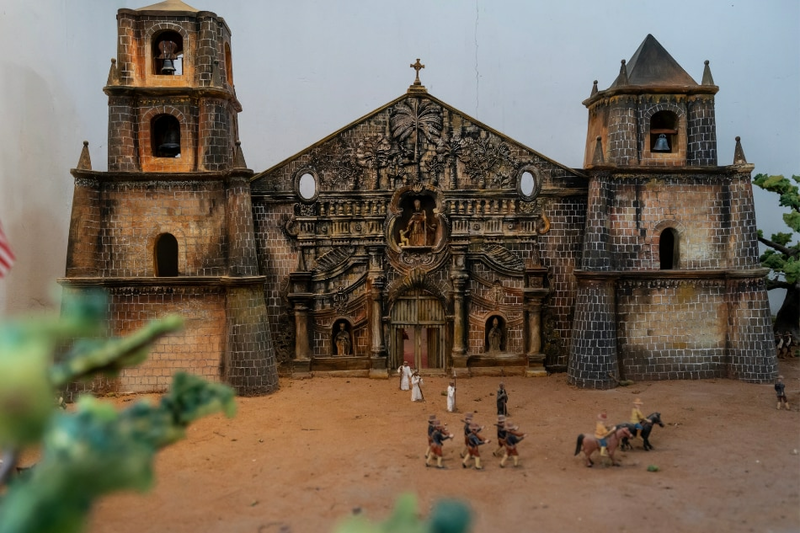 “The miniature church, for example, took six months to carve to exact dimensions and design.” He employed a whole team that include Miag-aoanons Antonio Jalandoni Sr., a master carpenter, along with artists Roland llarena and Julious Nieles. Miagaoanon hero Col. Pedro Monteclaro riding to the truce site accompanied by his brother Lt. Blas Monteclaro, and cousin, Lt. Serafin Monteclaro. He was given military honors, as stipulated in the truce terms. Miag-ao’s elders convinced Col. Pedro Monteclaro and his men to surrender their arms in order to spare Iloilo the destructive aftermath of a battle with the superiorly-armed Americans. As part of the deal, the Americans shouldered the cost of a fiesta that transpired after the event. A Moro raiding party arriving in the shores of Miag-ao. Miag-aoanon militia called the cuadrilleros defending their turf against Iranun invaders. 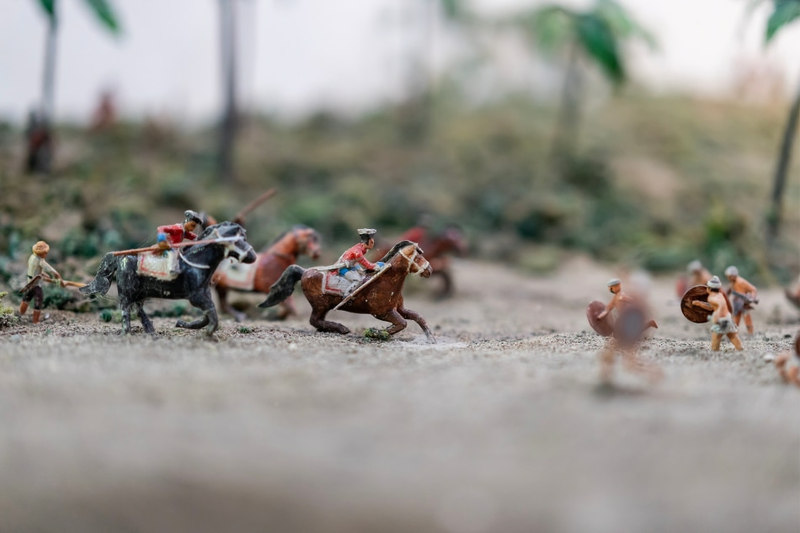 Spanish cavalry battling the fierce Tausug warriors.